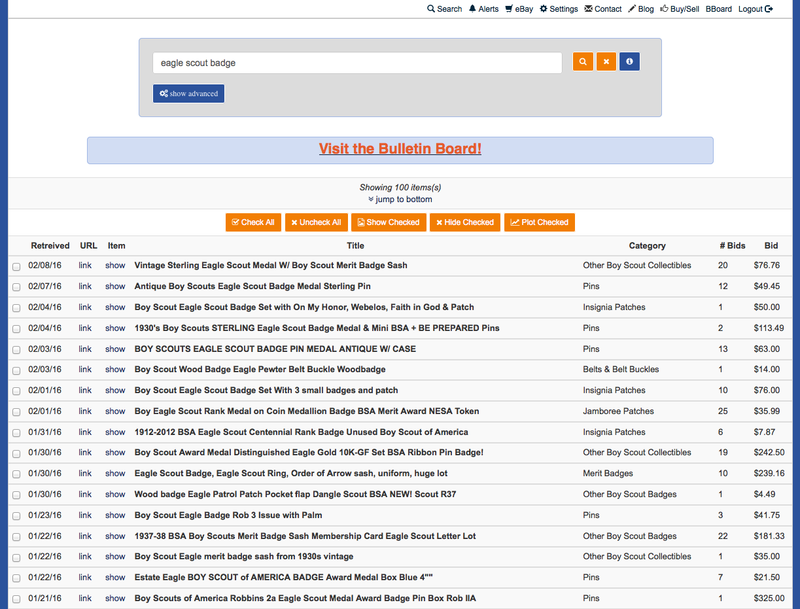 "Great resource and help to keep up on the latest in prices and trends of the patch collecting hobby." 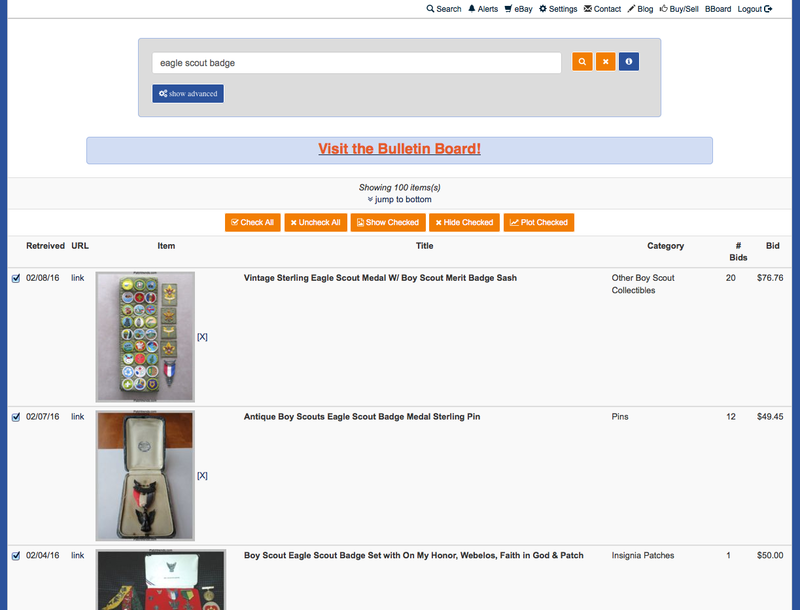 ACCESS THE eBay AUCTION RESEARCH TOOL - FREE! Username is required. Letters, numbers only; no spaces please. Note: After purchase, you will be emailed login info to the email address registered with PayPal. Patchtrends.com is the premiere pricing database and eBay archive specializing in Scouting Collectibles, with millions of online transactions archived since 2012. 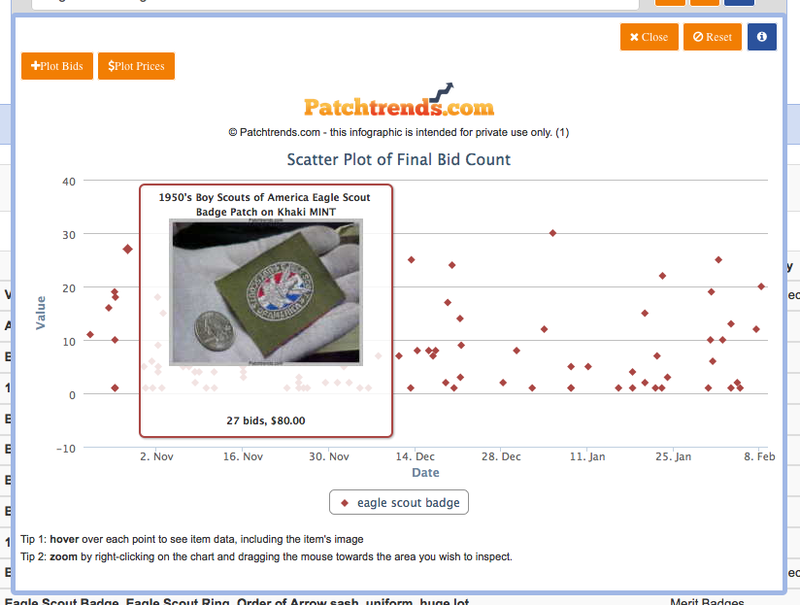 If a Boy Scout patch or Order of the Arrow flap has sold on eBay since, we know about it. Everyone. Casual collectors and eBayers, serious buyers and sellers, collection appraisers for insurance or estate liquidation - the list is long. 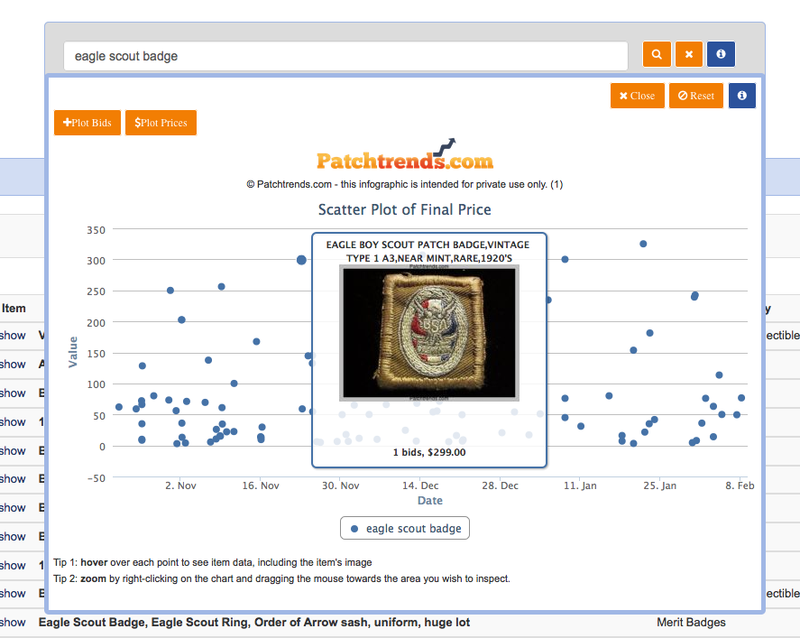 Patchtrends is also a platform invaluable for item identification and research. Scout patch collectors, bound to Scouting's time tested values and ethics. Just like you!